Screenshot of the Kanopy website. County library members will now have free access to an expansive film streaming service. The King County Library System recently joined the Seattle Public Library in offering Kanopy, an on-demand streaming service, to more than 2 million county residents. The service is now available in more than 230 library systems and over 2,150 individual public libraries throughout hundreds of U.S. cities. Kanopy allows users to view thousands of films in a curated collection provided through a partnership with more than 4,000 libraries around the world. Kanopy users can stream movies and documentaries from award-winning filmmakers, film-festival picks, independent films, classic films, world cinema, and critical favorites. Kanopy content includes curated work from The Great Courses, Kino Lorber, Music Box Films, Samuel Goldwyn, The Orchard, PBS and thousands of independent filmmakers. Selections from the Criterion Collection are available at as well. KCLS members can view all available films at https://kcls.kanopy.com/. Looking to adopt a flower pot? 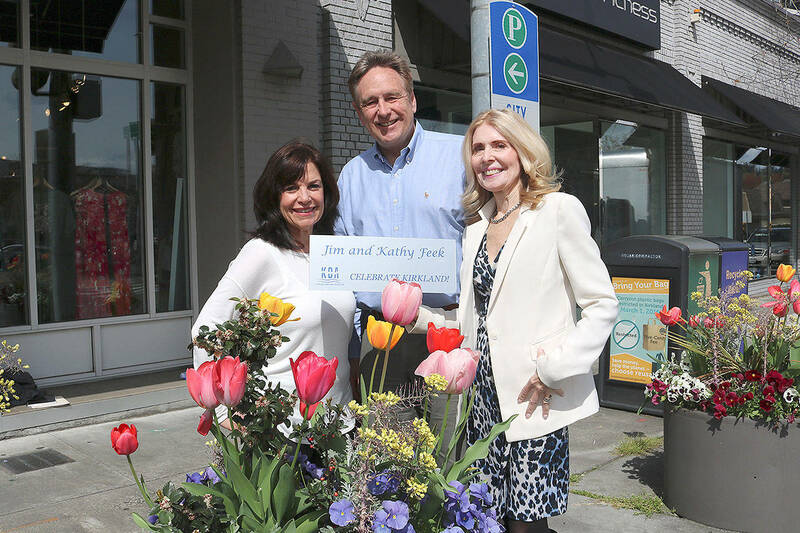 Kirkland Downtown Association continues to keep downtown beautiful and vibrant. The grant is part of $595,000 in grants to six nonprofit organizations across Washington to support behavioral health solutions. Courses will include lessons on budgeting, relationships and money, getting out of debt and more. The tree’s potential as hobbit housing was revealed during a routine tree assessment to ensure the safety of parks users.